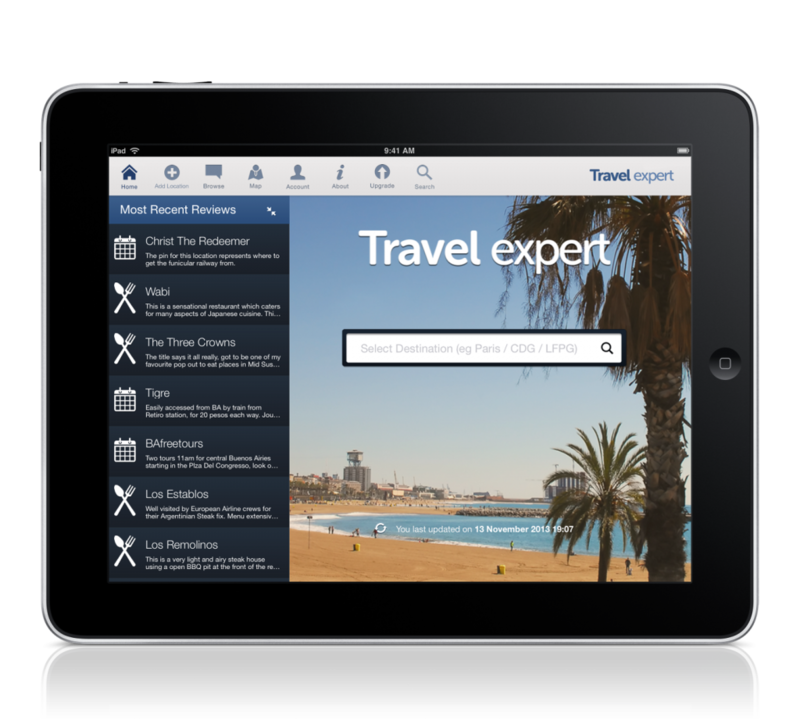 Travel Expert City Guides Ltd is creating a suite of travel apps for individual cities with useful travel guides, reviews and ideas for locations around the world. 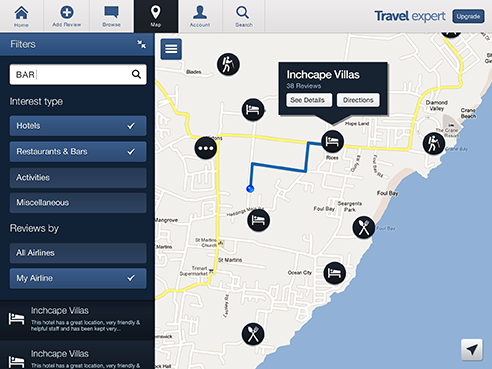 You can gain top tips on where to go, what to do, what to see etc. 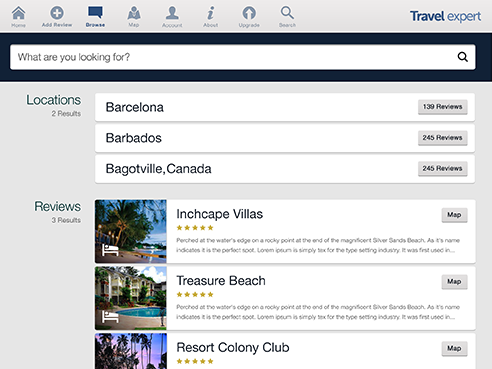 Travel Expert app works offline, so you can read up on what do when you travel to your destination and find great things to do when there. Simple! 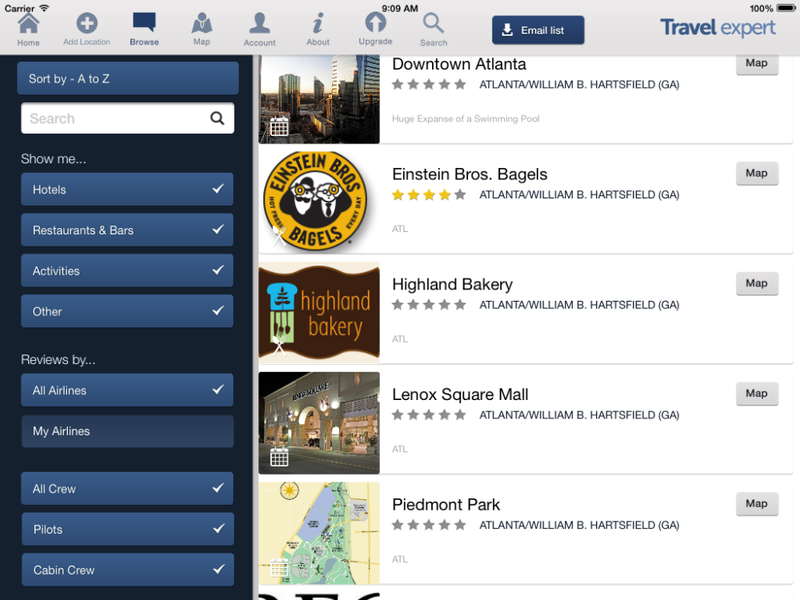 From the Home page, enter your destination name, select from the list, then see a list of all the Locations. Not only can you see where a Location is situated, you can do much more! Down the left hand side in the Filters, select the category you would like to display. So for instance, say you are in Toronto and would like to see all the restaurants, de-select all the other categories. Hey presto! 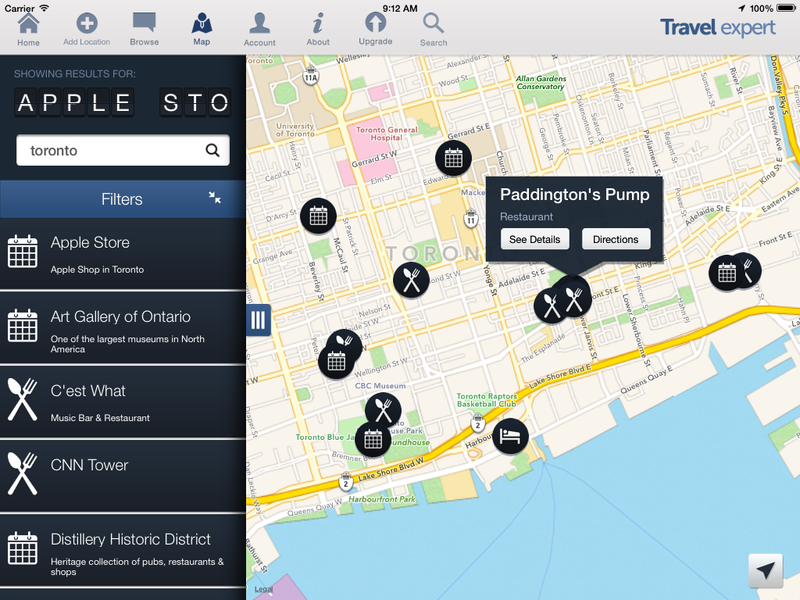 If you click the minimise button on the Filters, you can see a list of Locations that came up in your search. If you would like to find a specific Location and you know it's name, the type it in. 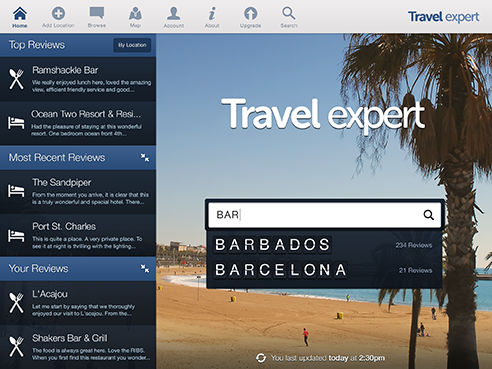 If you know a user name and would like to see more reviews by them, then type in their name. That is not all. We are continually improving this and other apps. 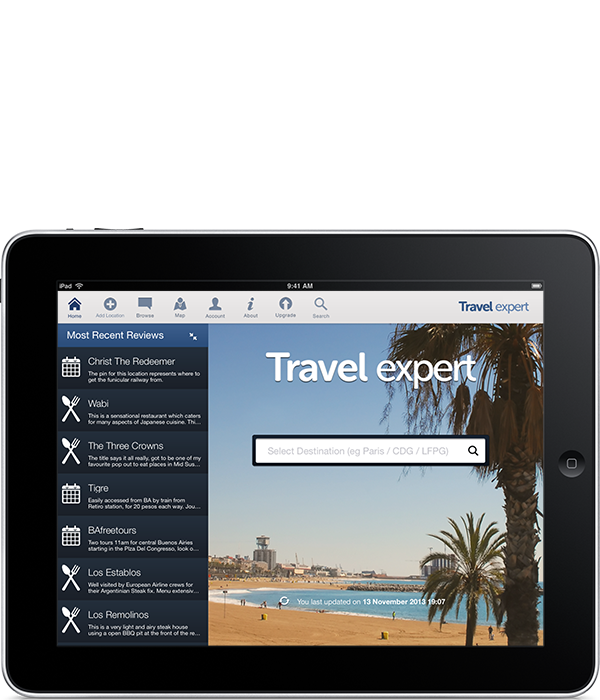 If you have any ideas on how Travel Expert could be better, do contact us (hello@patagia.co.uk). Planning something amazing? Going somewhere awesome? Fancy some useful advice? Read our superb reviews on places to go, things to do, places to eat etc with our range of apps coming soon in 2016. Download your map to your phone or iPad so that you don’t use up more data and have the information to hand, when you want it. Click the refresh button on the Home page to check your database is up to date. If you don’t refresh, the app will do it automatically periodically. 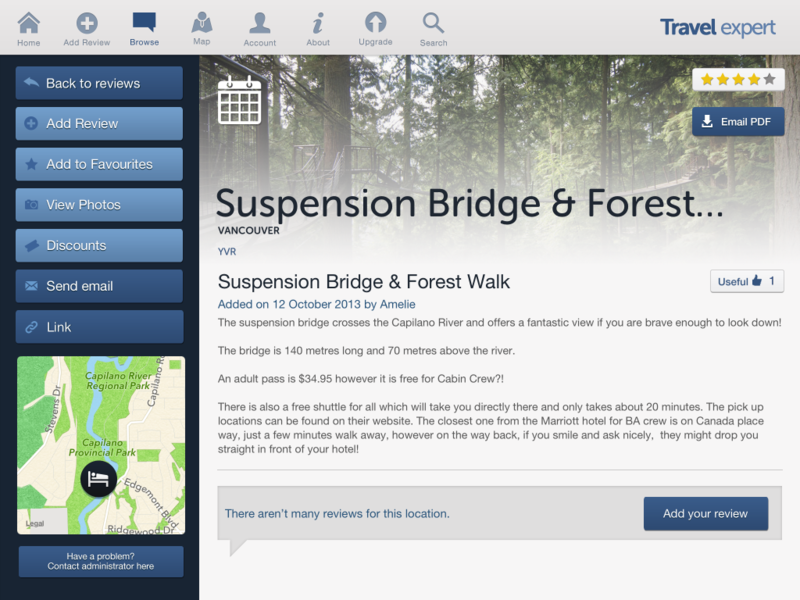 Use the map to navigate form where you are to the point of interest. Choose method of transport (walk, bike, car). Also, see how far you can get in a chosen time. Reviews are written to be informative, interesting and inspiring. Giving you the background and history to places and explaining why as well as how to enjoy these places. Travel App about London - coming soon.